Police said that attempts were made by the local community members to rescue the minor boy but the terrorists brutally killed him. A 12-year-old Kashmiri boy held hostage was brutally killed on Friday by Pakistani terrorists at Hajin of the Bandipora district in North Kashmir. The two terrorists were later killed in an encounter with security forces. In the past 24 hours security forces killed seven terrorists, three of them Pakistanis, in various encounters. Army’s spokesman, Colonel Rajesh Kalia, said on Friday that two terrorists have been killed in Hajin and one at Gadapur in Shopian. The minor boy has been identified as Aatif Mir whom the terrorists had held hostage in a house along with an elderly person of 60 years, Abdul Hameed, who was safely rescued by the security forces. Aatif’s mother vainly appealed the terrorists to release her son. The slain Pakistani terrorists have been identified as Ali and Hubaib, both affiliated to the Lashkar-e-Taiba (LeT). The two were wanted in cases of attacks at security forces. AK-47 rifles and incriminating material was recovered from the spot of the encounter. In another encounter that broke out at Kreeri of Baramulla in North Kashmir, two terrorists of Jaish-e-Mohammad (JeM) were killed. One of the slain terrorists was a local of Sopore who has been identified as Amir Kaboo. The other terrorist was a Pakistani national whose identity is yet to be established. 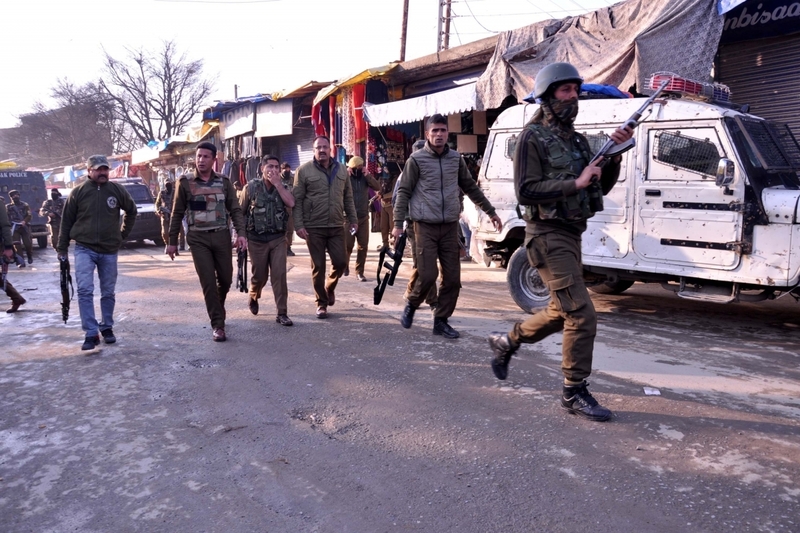 A joint team of Special Operations Group (SOG), 34 Rashtriya Rifles and CRPF were carrying out a cordon and search operation in Sopore’s Warpora area where security forces killed another terrorist in a gunfight on Friday. On Thursday, two JeM terrorists were killed in an encounter with security forces at Kalantara in Baramulla district while three security force personnel, including an officer (SHO), suffered injuries during an operation at Warpura of Sopore where terrorists tossed a grenade at them. Meanwhile, a soldier of the Indian Army, Rifleman Yash Paul, was martyred when Pakistani troops targeted Indian positions in the Sunderbani sector of Jammu with artillery on Thursday. 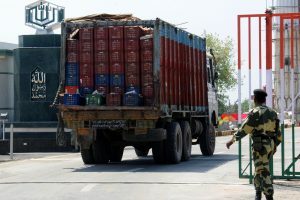 The body of the 24-year-old soldier was brought to his village in the Chenani area of Udhampur district.